Blood Clots During Your Period - Should You Be Concerned? Blood Clots During Your Period – Should You Be Concerned? Home → Endometriosis → Blood Clots During Your Period – Should You Be Concerned? It’s that time of the month again, but this time you notice clots in your menstrual blood. You’re thinking… this is new, and kind of scary, should I be concerned? If this sounds familiar, you are not alone! In this article we will discuss what menstrual blood clots are and why they form, when you should talk to your doctor, and the best ways to naturally support uterine health with self fertility massage, systemic enzyme therapy, and by supporting hormonal balance. Many women write to us sharing details about their monthly menstrual cycles and often express substantial concern about blood clots. Clots during your period – What are they? Why do they happen? What can be done about them? What is a Menstrual Blood Clot? The body naturally releases anticoagulants to keep blood thin and fluid (moving freely). Clots are the body’s natural way of controlling excess bleeding. Menstrual blood clots consist of a coagulated mass of blood, fibrin and endometrial tissue. Why Do Period Blood Clots Form? Endometriosis – symptoms are thickening of the uterine lining and heavier blood flow during menstruation that may contribute to excessive clotting during menstruation. Post childbirth uterine size, meaning the uterus doesn’t successfully shrink back to its normal size (about that of a pear). During menstruation, blood may pool and clot inside an enlarged uterus before it is expelled. Uterine obstructions – anything within the uterus that may impede proper menstrual blood flow, such as fibroids, polyps and adhesions. Adenomyosis – a condition where endometrial tissue grows within the muscles of the uterine walls resulting in heavy menstrual blood flow, prolonged bleeding, and passing period clots during menstruation. Excessive menstrual bleeding – heavy or strong flow during menstruation can cause blood to accumulate within the uterus faster than the body can completely and properly expel it. When this happens blood pools and clots. Hormonal imbalance – if progesterone and estrogen (the hormones that control how the body sheds the lining of the uterus) are out of balance, the endometrial lining of the uterus can grow too thick. A thick uterine lining may result in heavier blood flow and more period blood clots. For some women, period blood clots may be inconsistent and come one cycle, but not the next, or for several and then not show up again. This can be due to hormone fluctuations, diet, or lifestyle changes, all of which may affect uterine lining thickness. When there is a variation in the thickness of the uterine lining from cycle to cycle, the amount of menstrual blood can change as well, causing the formation of clots. For women with chronic menstrual clots, the cause(s) may be “Other factors that can change hormone production on an ongoing basis include peri-menopausal changes, chronic illness, significant weight gain or loss, and use of certain long term medications such as steroids, or prolonged failure to ovulate,” shares Robert B. Albee, Jr., MD, Fellow of The American Congress of Obstetricians and Gynecologists (FACOG) and Accreditation Council for Gynecologic Endoscopy (ACGE). When Should You Talk to Your Doctor? Saturating (not staining) a menstrual pad every hour for 4 hours means you should go to the emergency room or call your doctor immediately. Many medical doctors feel that “Ibuprofen is one of the easiest ways to reduce blood clots and cramps. For best results, start the ibuprofen a day or two before your expected menstrual flow (600-800mg every 4 to 6 hours) as long as you are not sensitive to the drug,” according to Dr. Kim Langdon Cull (OB/GYN). If you aren’t sure about using Ibuprofen, consider learning about natural therapies instead. There are a variety of herbs and natural therapies that are beneficial for increasing uterine health. Red Raspberry Leaf (Rubus idaeus, spp.) – An herb packed with nutrients, vitamins and minerals like vitamins C and E, calcium and iron, Red Raspberry leaf is astringent to body tissues and is known to tone the uterine muscle which may be supportive in times of heavy bleeding as a result of uterine weakness. Self Fertility Massage – A series of massage techniques to support reproductive system health including increased circulation to the uterus, cervix, ovaries and fallopian tubes, hormonal balance, endocrine and immune system health and in support of the body’s stress response. Systemic Enzyme Therapy – This natural therapy is known to support proper circulation and immune response within the body. More specifically, Systemic Enzyme therapy has been found to help the body reduce and dissolve tissue build up within the uterus and to reduce occasional discomfort in the reproductive system by supporting a healthy inflammation response. Hydration – Staying properly hydrated is important for healthy flow of all fluids within the body, including, menstrual blood. Drink Water! Start the day with a quart of room-temperature water, add some fresh-squeezed lemon juice for liver support too. Drink Fresh Juice! Fresh-squeezed juice using a variety of whole, organic fresh fruits and vegetables provides antioxidants, vitamin and minerals that boost fertility. Support Hormone Balance – This is an important one because the uterus is a part of the hormone feedback loop. The uterus is not only affected by hormone imbalances, but if uterine tissue health is poor, it may contribute to hormone imbalance by being a “weak link” in the hormonal feedback loop. 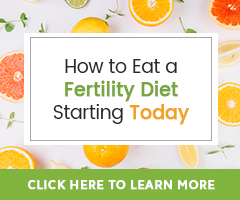 There can be specific fertility health issues leading to an increase in the presence of period blood clots, ranging from endometriosis, adenomyosis, uterine obstructions and/or size, and hormonal imbalance. These require specific attention in addition to naturally supporting the health of the uterus and its proper function. Period clots may be alarming, but fear not, they may not be a “mysterious manifestation of a scary disease.” If menstrual blood is bright red, this means uterine tone is healthy and menstrual blood is quickly being expelled even if small clots are present periodically during menstruation. Take time to let your body naturally cleanse each menstrual cycle, rest, think positively and nourish yourself during menstruation. Know that the appearance of period clots may change from cycle to cycle and if they become worrisome don’t hesitate to speak with your healthcare provider. If continued concern exists over excess blood clots, your gynecologist may suggest some testing such as a blood count, thyroid testing, tests for clotting abnormalities, and possibly, an ultrasound. Medications such as oral contraceptives or progesterone supplements may be needed. Hello, my cice isn´t consistent it is from 27-34 days, I checked that with the doctor and he says it is normal for my age, but I´m concerend about soething that happend today, a tissue or clot came out that was about 1.5 cm X 0.5cm of size….. should I be concerned? If this was just one “clot”, it may not be worthy of concern. It could be that you were more sedentary or less active the past cycle than normal, or perhaps slightly dehydrated. That said, I can not know the cause for sure and because you are concerned, it may be best to check in with your healthcare provider. My cycle is 28-30 days and my menstruation is always painless. Blood is fresh and bright red and I bleed moderately for about 4 days. I do see some clots on occasion; maybe the size of a dime? I would estimate I have 3-5 clots the size of a dime each menstrual cycle. Is this okay? I basal body chart and have beautiful charts with clear ovulation + good progesterone, but wanted to make sure that the clots aren’t an issue. We are suffering from Male Factor Infertility but want to make sure I’m okay on my end too. What you shared about your cycles seems perfectly normal and ideal to me. Clots like this are not reason for concern. Do stay hydrated and move often (moderate-intensity daily exercise). What is a normal size for blood clots? For example, I’ve been having really big blood clots. I’m actually really amazed by people saying there’s are the size of quarters. Most of mine are way bigger than that. I would say 3 or 4 quarters and I just had one that was the size of my palm. Um… should I just book an appointment with my doctor or is this more serious? That is rather big and I would at least check in with your doctor’s nurse to see if he/she would like to see you to determine what might be going on. I am very curious to know what happened to cause your clotting like that. I recently started lower carb, no grain way of eating and just had another period (regular one ended 2 weeks ago). Started with spotting and then got heavier. Last night, I had the same thing as you. A HUGE clot at least the size of my palm. This is definitely abnormal for me and happened once many years ago when my prolactin levels went very high. I can’t get to the doctor right now because I do not have health coverage at this time. I do believe it has something to do with the estrogen being released because of my new way of eating. I am laying low today and resting and hoping it does not happen again. Hi. My period started when I was 12 and I am 25 this year. I usually have normal flow and sometimes heavy flow however heavy doesn’t visit much often. I’ve also experienced twice on long period of about 3 weeks. Other than those 2 times, the rest are quite on time. In 2018, my Jan period starts 10-31 Jan, Feb 12-16, then again on 27 and on-going at the moment. This time I experienced cramps (which I usually don’t) and large blood clots, flow is quite heavy but still fine. I am more concerned about the clots and my cycle. I have a change on my diet by just controlling food intake. Will that affect my period? There are so many things that can impact the menstrual cycle. Clots are often a result of that heavier bleeding coagulating rather than coming out as it happens. They can happen if we are more sedentary than normal, or aren’t staying hydrated. Some women have a few smaller clots here and there with completely normal periods otherwise. They aren’t always something to worry about. With that, it is unlikely that dietary changes as you’ve shared would lead to heavier menstrual bleeding or clots. Consuming more read meat, processed foods or sugar (baked goods, soda, etc.) can contribute to PMS and cramping however. It may take a bit of detective work to figure out what happened this last cycle that has caused the shift. It may be that your cycle will go back to what you consider normal next month too. It is so very hard to know. This is not normal! That said, there can be a build up of blood/tissue over that 3-month time period that may all try to come out when you do have a period and this could be why. It is time to find another doctor, or stop or switch birth control? That you can type “debilitating” concerns me and I want for you to find someone who will help you evaluate why this is happening. Try to stay active, to move every day. A brisk 30-minute walk is great, or consider Fertility Yoga. Hydration is key as well. You may want to eat more iron- and vitamin C-rich whole foods to be sure you iron levels don’t dip too low during menstruation. If you feel fatigued and not well during this time, I would talk to a doctor about your iron levels. Self Fertility Massage may be worth learning more about as well. We can not suggest herb or some supplements while taking birth control without a doctor’s approval, so I hope some or all of these tips are helpful. I have been having my period for 2 weeks now with clots quarter the size of an index finger dropping off in pieces like 4 at a time. It really has been a tiresome experience and wondering should i see a doctor. I had a cyst detected in my right ovary 2months ago when my period did not come on time. The doctor informed that the follicles that’s supposed to release blood did not do so in time for the next period hence the cyst. She informed there was nothing to worry about, as they will eventually be released.A month later I had another scan during my menstruation and the cyst was gone. I’m just wondering if it’s possible that the huge clots are from that cyst. Would appreciate your advise. I’m sorry! I can imagine how tiring this is! Menstrual clots are seen as a sign of stagnation created from excessive flow that is not being expelled. This can be from a heavier period or when menstruation is stalled for any reason. They can happen from being sedentary and restricted circulation to the uterus too. If you are worried, do at least call into your doctor’s nurse. Be sure to stay hydrated with water and herbal tea, exercise and move daily. Learn more about the tips in this guide that resonate with you as well. Hi Elizabeth! Thank you for the explanation. It’s really appreciated. Hi. I have been having my period for 3 weeks now. For the first week I only had small blood spots during my period and had my regular flow on the second and third week. This is unusual for me as it only takes 4-5 days for me before. Thankfully I dont feel any sort of pain and the flow is not really heavy (just normal). It goes with blood clots also until now. Is this something I need to be worried about? This is my first time experiencing a long period. I am planning to see the doctor within the week. I would appreciate if you could advice me on this? Thanks. I’m sorry to hear of this challenge! It is a good thing you are seeing a doctor to try to find out what is going on, or causing this prolonged period. Bleeding for three weeks straight isn’t what we want. Have you made dietary changes as of late? Nutritional imbalances have also been linked to prolonged; low vitamins A and C could be at play. Slow Flow and Vitex with liver supporting herbs may all be worth learning more about. If you learn of a specific cause and wish to support the body naturally, reach back out to us and we will offer support as best as we can. I have ben clotting every month for about a year. I saw my ONGYN last month. she wanted me on BC or the Mirena. I would have to pay $360 for it to be done. Well in the past 6 months I have had 2 periods in March 1 in April and 1 in May and it was on May 23. Well two weeks later I have on it again. I am clotting more and they are getting bigger. I have always been irregular but they would come still in the right month and last 5-6 days. I would like everything removed for I will not have kids anymore. I think it will be better for me in the long run. What can I do now? 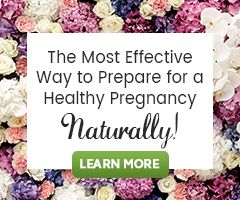 Each of the tips under the heading The Best Ways to Naturally Support Uterine Health could be learned more about and considered. I am not able to help you decide whether a hysterectomy is right for you or not, yet do highly suggest weighing all the pros and cons as you decide what’s right for you. My 11 year daughter started periods in Decemeber 2016 and stops until early April 2017 went 7days and again 29 April 2017 she on huge blood clots, im so concerned she is using night pads and changing each and every after 30 minutes, must i take her to the practise Doctor or GYNA? If it were me, I’d take her to her healthcare provider who can then refer her to an Ob/Gyn if needed. They may want to put her on birth control (for what it’s worth, my opinion only… think through this before jumping to it). What is her diet like? Does she eat healthy? Is she getting enough nutrients, vitamins like A and K and D, etc.? Does she exercise regularly? If you think you’d like a more natural approach to supporting her and her menstrual health, consider reaching out to a naturopathic doctor. They will be less likely to suggest birth control and approach her health from a diet and lifestyle perspective. I hope you find just the support that she needs. I have been having huge blood clots for a couple weeks now. so much that I have been going through several super plus tampons and overnight pads at the same time with in a couple hours. I have had blood running down my legs and huge blood clots like bigger than a half dollar. I have been super tired and started sleeping in adult diapers to keep from running the bed. I had a pap and it came back normal. this has been going on for almost a month. but I been bleeding for 5 months straight it just picked up with the clots in last few weeks. my shower floor gets covered every shower and I take 2 a day to stay clean. should I see a second DR? It is time to go see another doctor, a fertility specialist to determine what is going on! This is too much bleeding and there is a risk of anemia. Be sure to be eating iron-rich foods or taking a supplement, with foods rich in vitamins A and C.
Consider learning also about a supplement called Slow Flow while you work to get in to another doctor. I have a question about blood clots during my period. My period has been all over the place the past two months. I am on alot of psychiatric medication and had my meds chopped and changed the past month. But i have noticed the blood clots for a while now. RIght before a blood clot comes out, i usually get a very bad period pain (a more sharp immediate pain) and then when i go the bathroom, i can actually feel the clot coming out and its like a relief when it comes out. What could this be, its not every period, but its most of them. Because the clots are associated with “very bad period pain”, it really would be best to talk with your healthcare provider about what you experience. He/she is best able to help you know if anything I share here is a cause. I hope you are soon able to learn the cause so that you can move forward with the best plan for your needs. I am sorry to hear you are going through this! Some women experience heavy blood flow and clotting during their menstrual cycle. Our guide Do You Have Heavy Menstrual Bleeding? What You Can Do About It… shares some natural therapies and herbs to learn more about. Be sure to also be eating foods rich in iron and/or taking a whole food iron supplement such as Blood Builder from MegaFood to help the body maintain healthy levels of blood. May I suggest/add that if you do experience the long term symptoms described, consult your doctor and get brushed off, Find Another Doctor! I cannot express how much I wish I’d read your article Years ago, could have saved me so much pain and upset! Trusting my Then doctor was a massive long term mistake! I appreciate your site, and my NEW Doctor! Having your concerns taken seriously is So Important! I am happy you have found the support you deserve! I have a very heavy Menstrual cycle – 50 years of age – never had kids. Now starting to have lots of clotting. Need to change every hour. First two days I nearly can’t go out in public due to it. Not sure this is the change of life ??? Or normal process for my age. The only way to truly know is to consult your doctor. It may be a result of the natural change of life, but it could also be something more that may need to be addressed.